Welcome to Sunday. I promised you more detail and more certainty in the forecast at this point, and here it is. 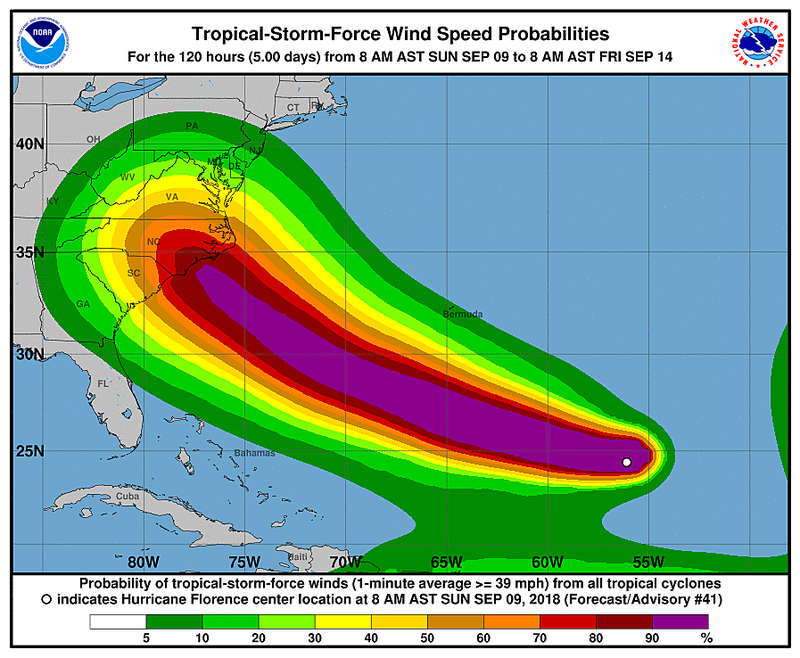 Confidence is growing that newly-upgraded Hurricane Florence will continue to strengthen dramatically as it aims for the coast of the southeastern United States, likely around the Carolinas. While I still can't ignore the possibility that Florence wiggles further north along the Atlantic coast, this solution seems increasingly unlikely I'm happy to say. 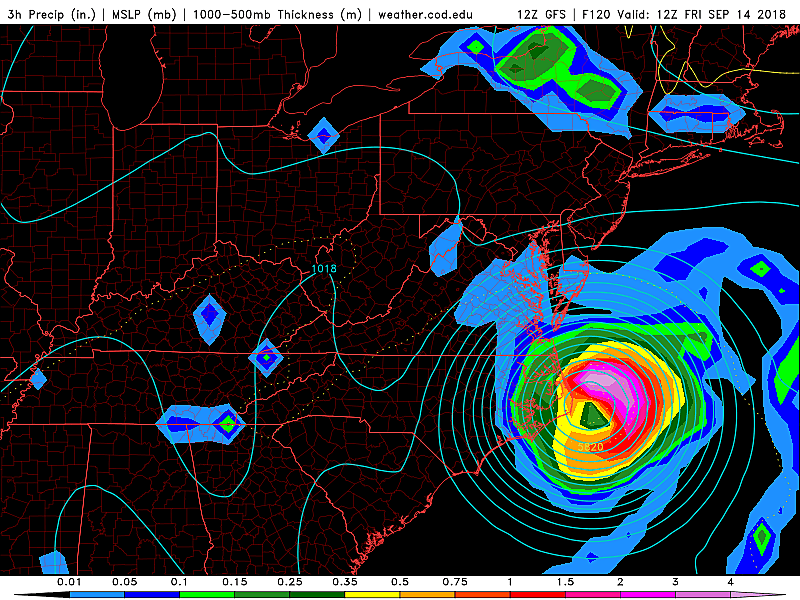 (Such a maneuver would obviously make the storm far more impactful for New Jersey.) There is not a single forecast model that suggests such a track at this time. 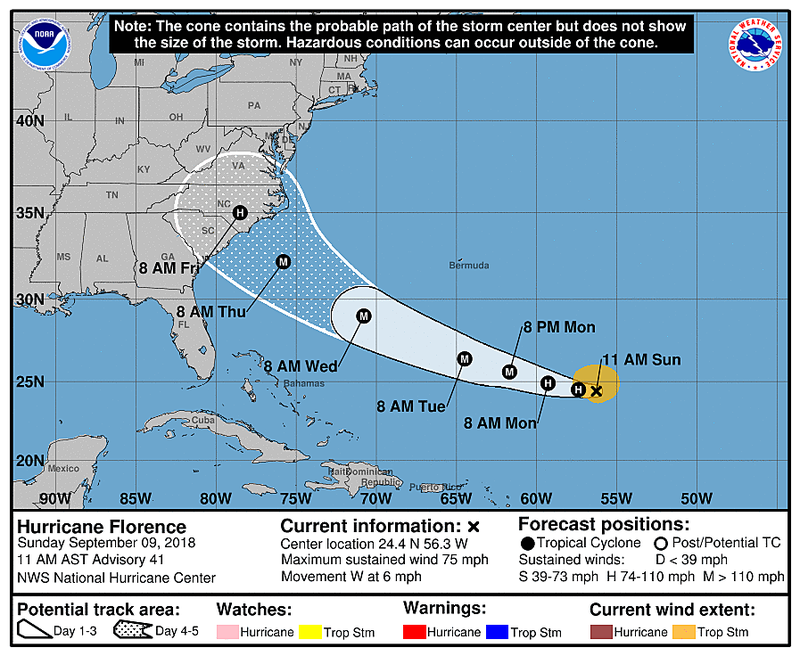 Now we can start to think about what happens after Florence approaches and/or makes landfall around the Carolinas. Option #1 — the most likely of the three I'm going to present — I'm calling the Kiss and Run. The center of the storm may not even make landfall before the storm either stalls or slides back to the east-northeast in the out-to-sea direction. New Jersey could experience very little rain and limited wind, although the coastal issues (surge and surf, leading to flooding and erosion) could become significant. This solution is currently favored by the GFS, GFS ensemble, and Canadian models. Post-Carolinas option #2 is the Coast Hugger. The storm makes a slight right-hand turn and parallels the immediate coastline. This seems to be New Jersey's worst-case scenario at the moment, with a combination of heavy rain, wind, and surf on the table. Also, luckily, the most unlikely of our three scenarios at this time. Option #3 is the Inland Explorer. After the eye of Florence makes landfall, it just keeps going west, before tracking up the Appalachians. This situation offers a lot of question marks. How long before the storm loses its strength? How far west will the storm travel? How far north will it go? Will it eject back out to sea (as in the "Kiss and Run" option) and kick up the surf and swell again? Notably, the Euro model currently shows this kind of trajectory, actually painting minimal impacts for both inland and coastal New Jersey. In terms of timing, we're now looking at Friday to Sunday for rain and wind impacts to arrive here in the Garden State. (Again, IF they arrive at all.) Along the Jersey Shore, the already-rough surf will kick up even more starting around Wednesday. So, compared to a few days ago, this is a "better news" forecast for New Jersey. But let's not be complacent. Tropical systems are capable of producing incredibly heavy rain and damaging winds, even hundreds of miles away from the eye of the storm. 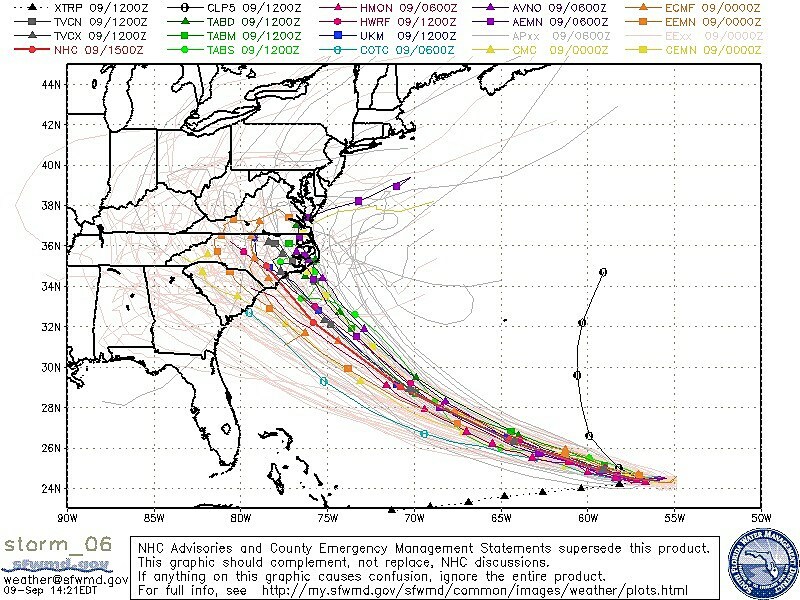 In addition, it seems we're going to feel at least some coastal impacts from Florence. We'll be able to nail down the magnitude of the surf forecast in the coming hours and days. By the way, there are two additional tropical systems in the Atlantic basin behind Florence that are also worth watching. Tropical Storm Isaac forecast update, as of 11 a.m. Sunday. 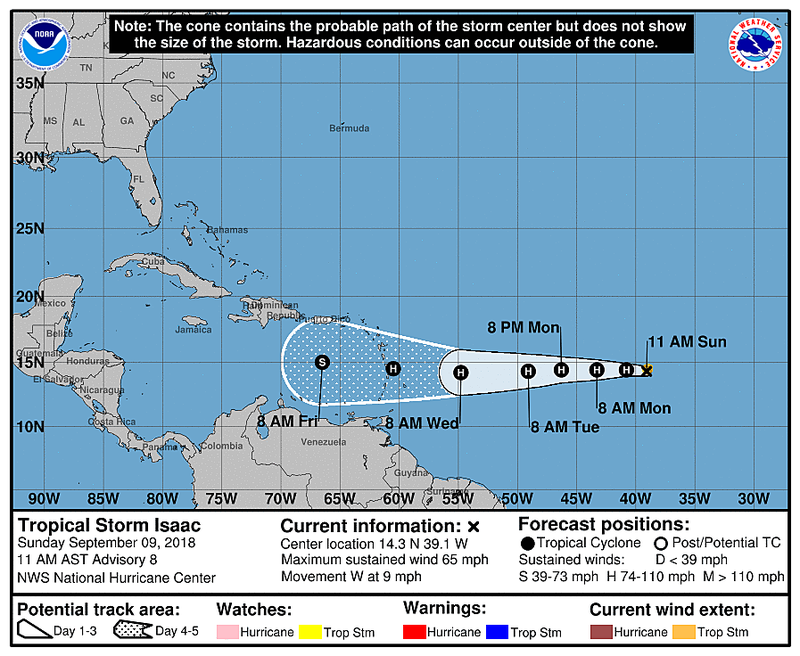 Isaac is steering toward the Lesser Antilles on the eastern edge of the Caribbean Sea. 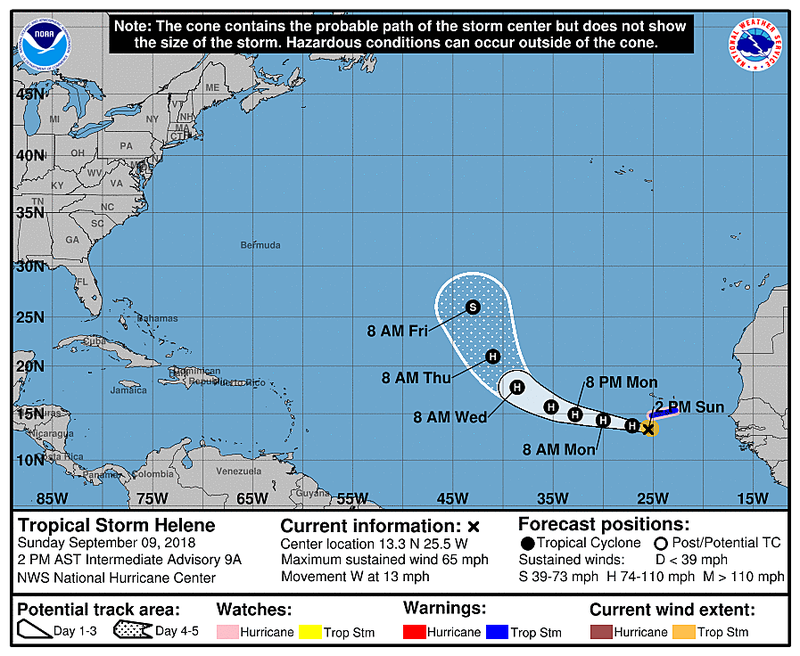 Meanwhile, Tropical Storm Helene is way out over the Cape Verde Islands (just west of Africa). Helene will hopefully curve out to sea by the end of the week. Hope you can enjoy the rest of your soggy, cool, grey September weekend. Next weather blog update will be posted on Monday morning by 7 a.m.